Recycled polymers could help stimulate a return to plastic product manufacturing in the UK as changing attitudes towards sustainability and rising costs for Far Eastern producers present new market opportunities for British companies, according to the Director of a UK plastics recycling company. Keith Freegard, Director of Salford-based Axion Polymers, says tapping into the UK’s proven plastics recycling infrastructure as well as the nation’s post-Olympic pride in Great British products, could herald a brighter future for firms here that have traditionally struggled to compete against the manufacturing might of Asian producers. He highlights examples of certain product types returning to the UK – such as the Trunki pull-along child’s suitcase - as importers review the balance of benefits versus cost in the face of high real-estate prices, rising labour and electricity costs and onerous custom transfers in China. Similarly, Axion says it is supplying its quality-assured, UK-sourced 100 percent recycled polymers Axpoly PS01 and PP51, derived from waste fridge and ELV plastics, to leading UK-based manufacturers for a variety of closed-loop applications. These are said to include automotive and washing machine component manufacture. 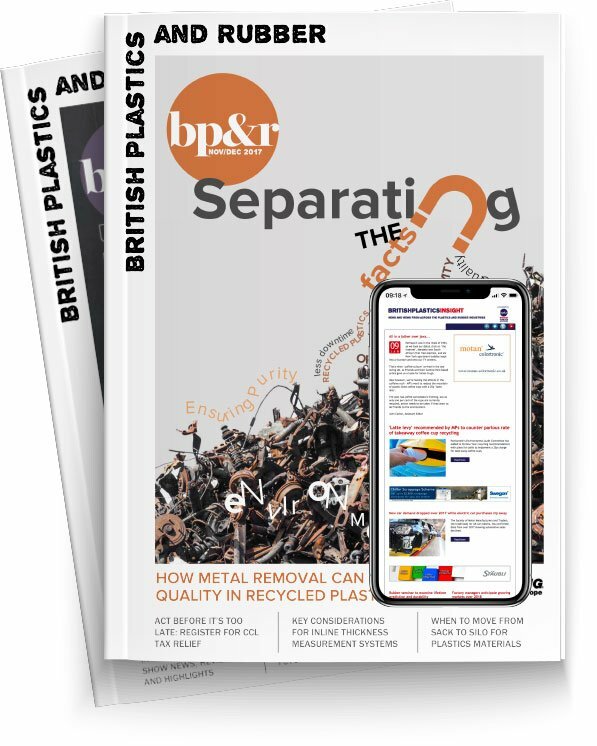 “New market opportunities are emerging in the UK as branded producers and retailers recognise the need to offer customers a more sustainable product using raw materials that have been recycled in the UK’s well-developed plastics recycling chain,” commented Freegard. “This strikes a chord with many ‘middle England’ consumers, already diligent recyclers themselves, who understand that buying UK-produced goods supports local jobs and businesses,” he continued. Freegard suggests that UK plastic producers who can engage with forward-thinking product buyers get a great chance to deliver a double-whammy of product benefits: raw materials which have been recycled and then moulded back into new plastic-rich products in UK factories using UK-developed processes on machines using UK-designed moulds. He says key benefits include short supply chains, reduced lead times and simpler stock management. “I can only foresee a growing trend for some manufacturing to migrate back to the UK. I would also challenge all purchasing managers to re-visit the concept of getting high-quality goods ‘Made in GB’ using plastic raw materials that have also been ‘Recycled in GB’ when seeking quotations for next year’s ‘wonder product’. They could be pleasantly surprised by the benefits this can deliver to their businesses,” Freegard concluded.